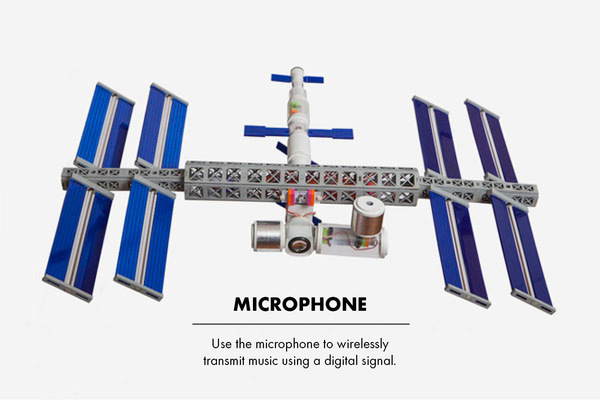 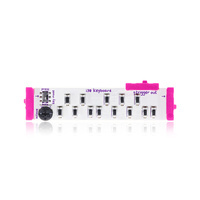 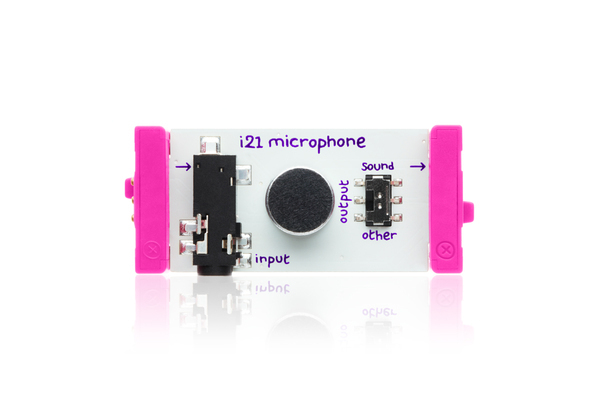 The microphone Bits module translates sound into the electronic language of littleBits. 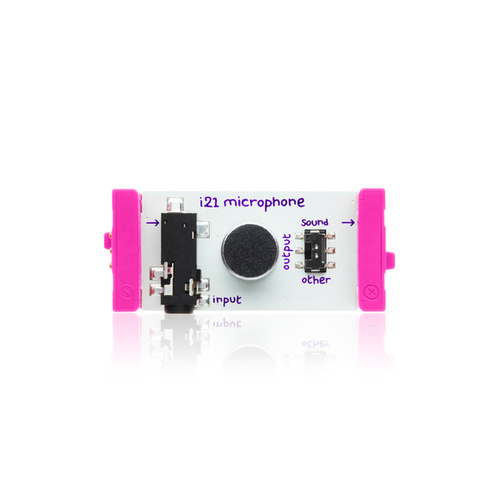 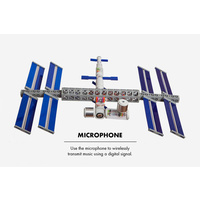 You can use it to turn sounds into light or motion, or use it with the speaker Bits module like a small megaphone! 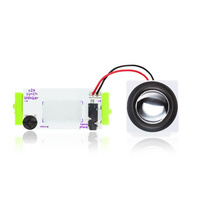 Make sure the switch is set to sound when you're using it with the speaker, and other for all your other modules, like LEDs and motors. 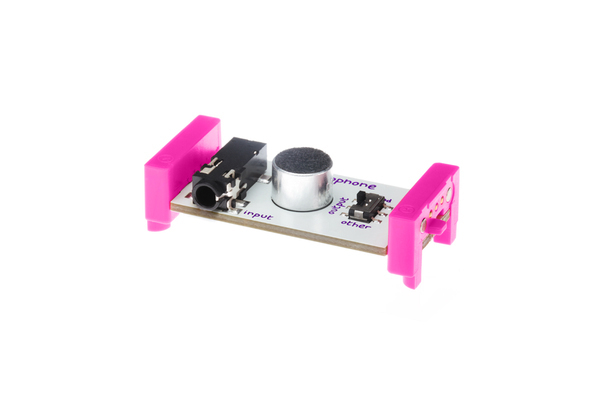 The microphone Bits module also has a 3.5 mm input jack so you can plug in your computer or mp3 player.